Suddenly my lightbulb started to flash and I realised that I was talking to Norway`s biggest popstar, the Morten Harket. It had come to my knowledge that a-ha recently had checked out the Norwegian drummer, Per Hillestad, and bassplayer Geir Holmsen. 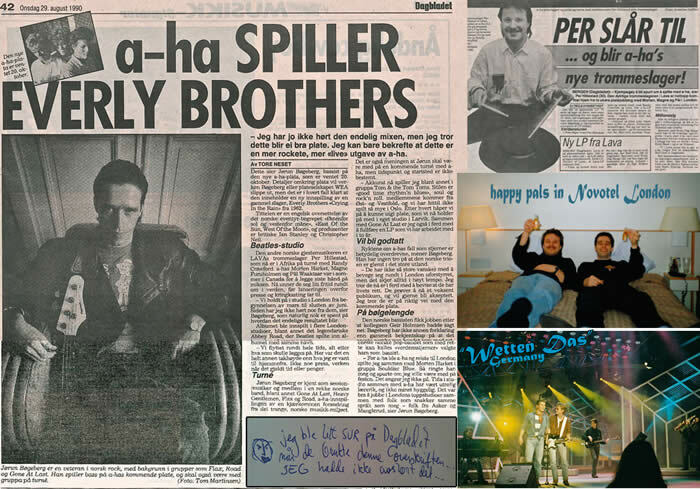 Fortunately for me, Geir had turned the offer to join up with a-ha down. I would definitely not. What a phonecall to get. I couldn`t believe it. I just had to finish up a Christmas-tour with the Three Blind Mice in the end of 1989 and then I was ready for London. 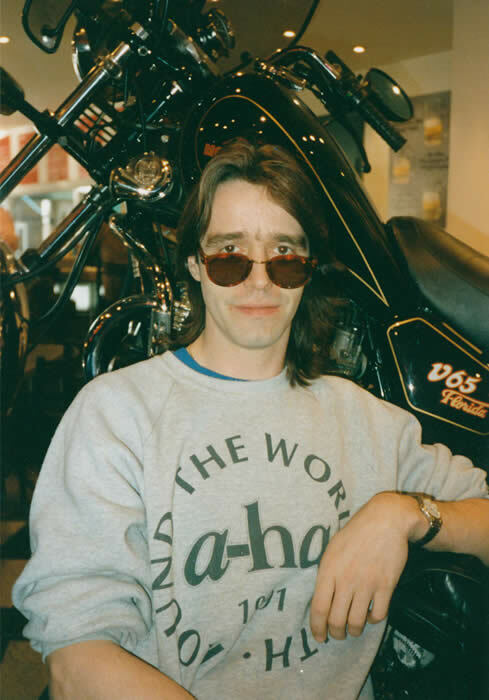 We met up with the three famous guys at Olsen Cafe in Holtegata, Laureen was there too, she definately spoke more than Pål, he seemed a bit shy and silent behind his sunglasses, got the sweet lady to take care of the talkin`, smart guy. 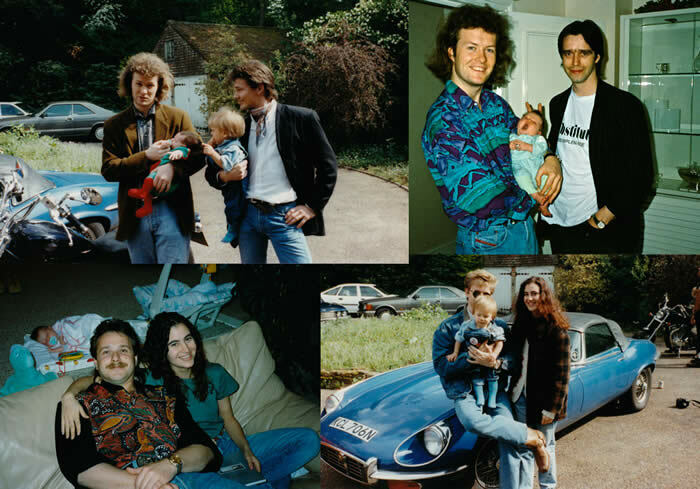 Mags was totally normal, and Morten I knew from pasttime musicplaying and meetings during their exciting chase for fortune that had happended in London. I had prepared a rehearsal-room just around the corner, at Jo Bergslands place in Eilert Sundtsgt. 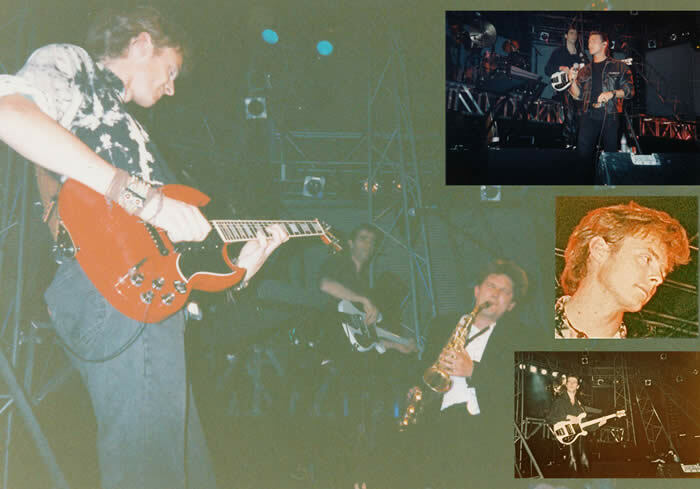 Here we played together for the first time, November 89, just to check out how it would work and feel. It sounded really cool and unprestigious. 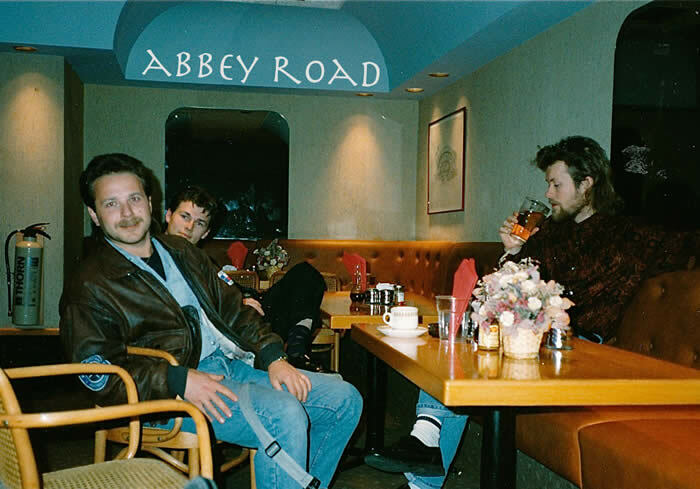 It was obvious that Morten was sure that this was going to be the band and it seemed that Pål & Mags agreed easily. 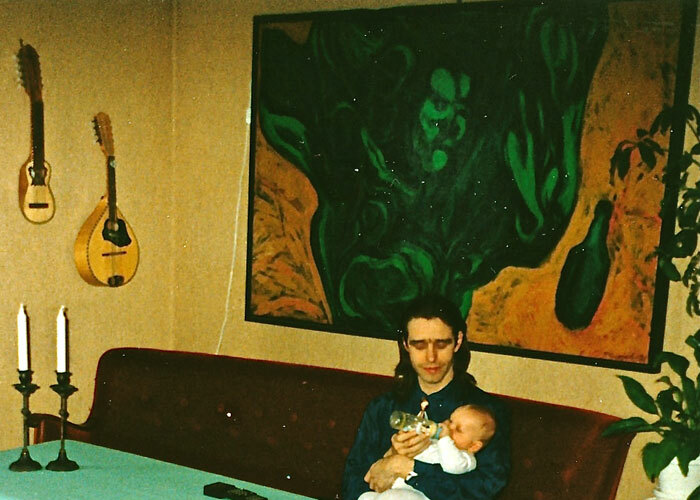 I had never met Pål & Mags before, but I saw Bridges perform in Chateau Neuf some years before. I also bought the Bridges album at Karl Johans gate, probably from Mags himself who was an eager streetseller those times, he told me later. I did not know how to play any of the a-ha songs at that first rehearsal, but I think they noticed that I was able to catch up with the basslines pretty quick. 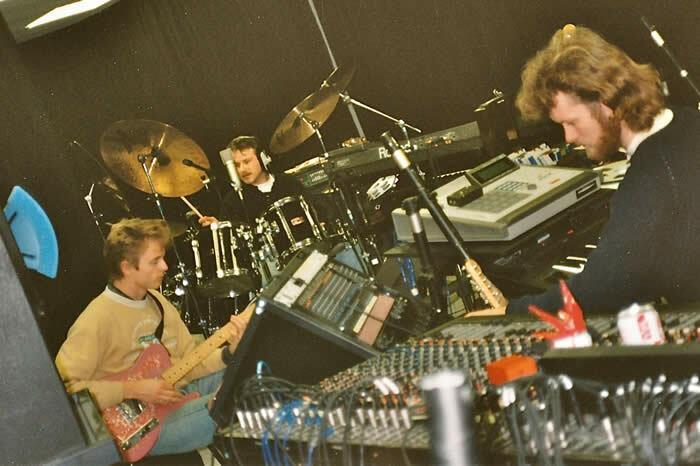 The drummer-Per and I had met in the studio a few times before this, but we had never done any live-gigs together. Future so bright I gotta wear …... a coat . 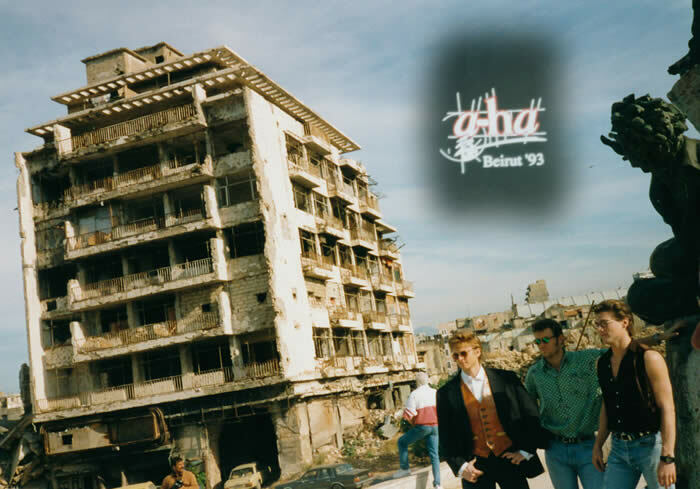 Aha had released three albums in 5 years and been through several worldtours struggling with screaming crowds. Now they wanted to establish themselves as a strong unit with an integrity and appeal to a wider range of people than just being teenage idols. 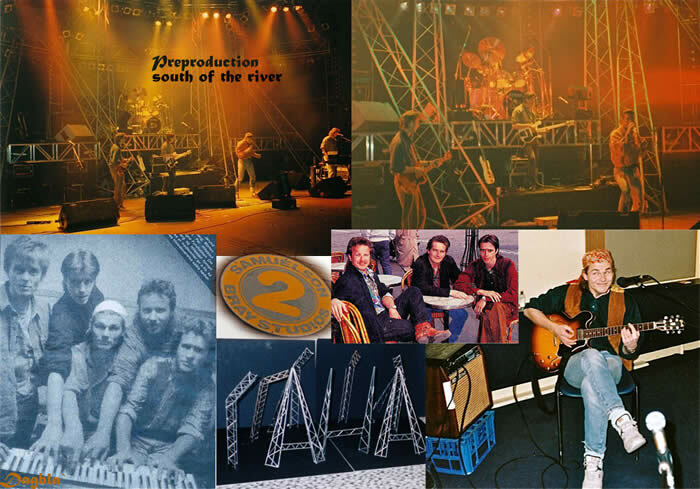 They wanted a bandfeeling going, that`s why they looked at the oldland for musical backups and inputs. We`re ready for the 90`s. visited them at home, and it was a cool feeling to be in a great band. A dream was coming true. small but nice flat with not too many cockroaches sneaking up in the bath-tub. studio, he showed up in a shabby white jogging suit. They did not agree about how the song should be done. It sounded like Horn wanted to make it a hypercommercial dance kinda track. This would not please the stubborn boys of a-ha. They were not even sure if it was a good idea to do the song at all. 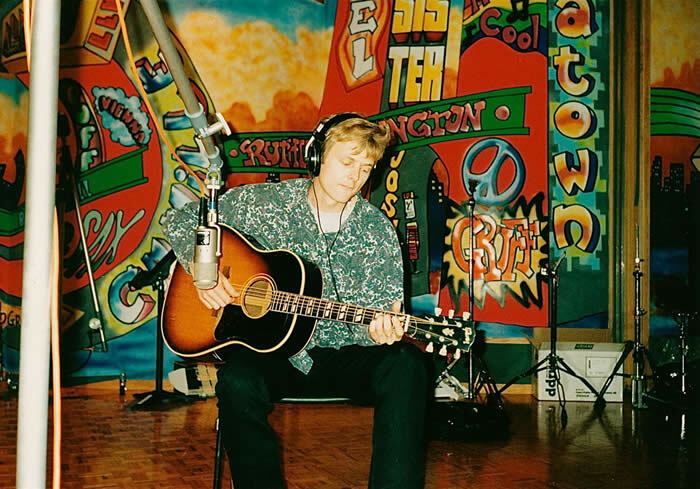 The recording of the "East Of The Sun West Of The Moon" album took place mainly in Air Studios with a view over Oxford Circus and additional recordings happened in Metropolis Studios and even in the Abbey Road for a short session. Some tracks were cut pretty live and some came together in bits and pieces. It was really learning and fun to work with people that seemingly knew what they were searching for in music. The three boyz were sort of very different individuals, but it seemed to me they were able to find their common sollution to things, as a strong unit, the best of all the three. Some of the ideas were easy to get into and others gave me some inner questionmarks, but I did my best to do what was closest to the demands, and do it with a little personal touch. It was nothing but fantastic to be and live and work here in the swinging London pop-capital. 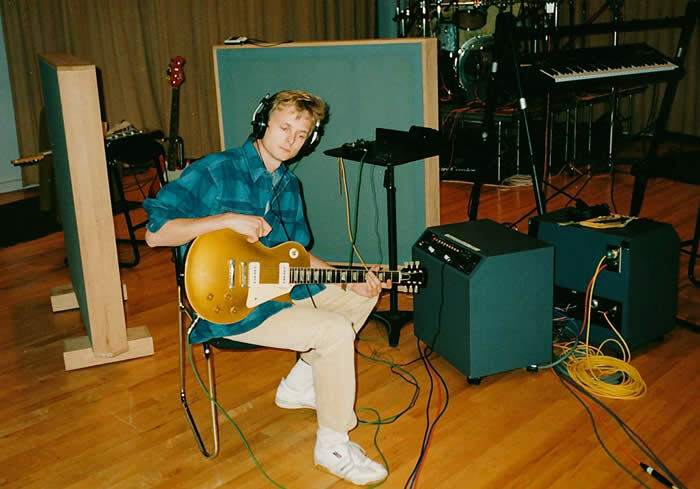 On the album there were two producers, who worked separately. We got along best with Chris Neal, simply because he let us play. The other guy was Ian Stanley locked up in his machines. In search of an upright electric bass I checked in to the Bass Centre and they came up with a weird Ashbory plank with similar upright sound from rubber strings of cilikon. I think it was Ian Stanleys sample of this bass that ended up on Early Morning, that`s not me playing, just my sample, maybe. There was a lot of sparetime during the 3 months we lived in London. 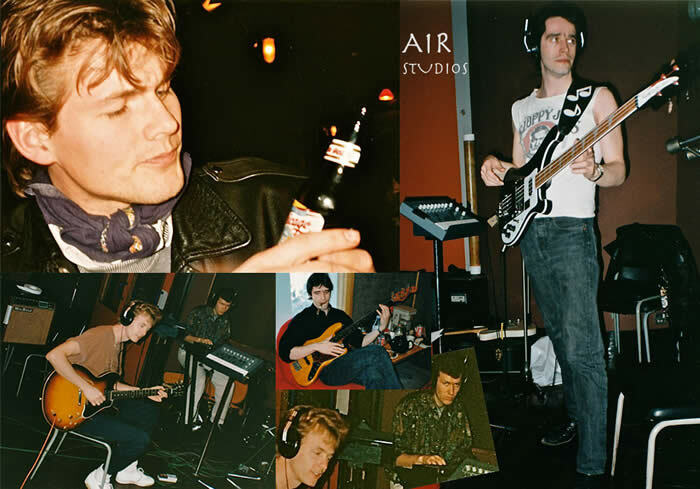 I was fooling around a bit in a-ha`s studio every now and then, did some recordings on my own and checked out different new bass guitars. 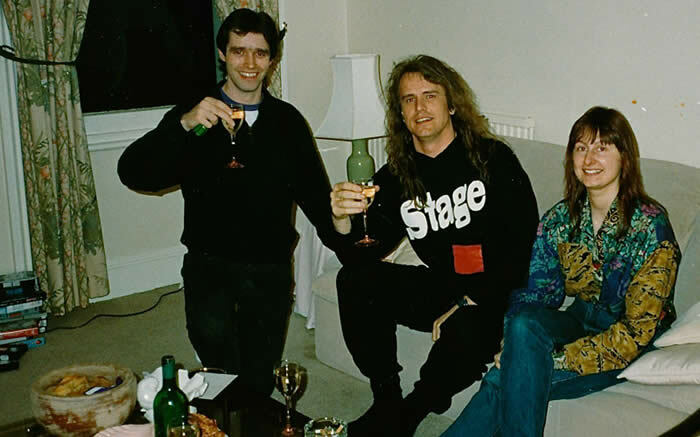 We watched a lot of Fawlty Towers on TV in our flat, and one night we saw, heard and met Stage Dolls who played a gig at the famous Marquee Club, yeh y`all see drummer Steinar Krogstad having a glass in our London flat. 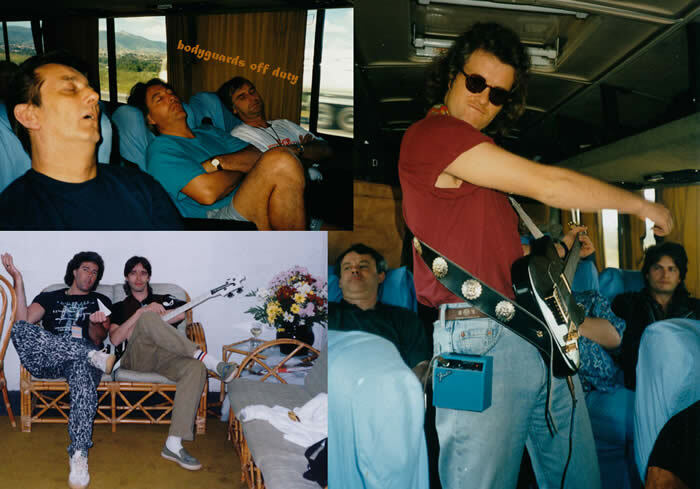 In May 1990 we went home and didn`t hear much from the guys during a longwaiting summer and most of the fall. 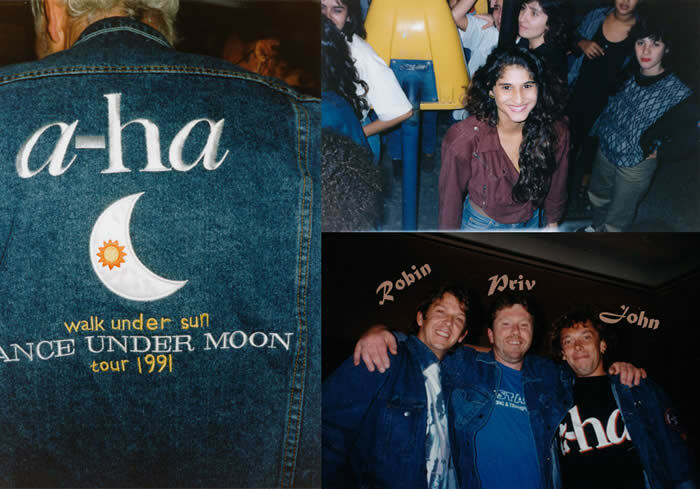 When the album East Of The Sun West Of The Moon was about to be released in november 1990, things started to get busy. At some point the boys asked Per & me who we thought should be the saxophone player in the band, since the song I Call Your Name had gotten an important tenor-sax-part. Per & me looked at each other and the same thought popped into our minds. It must be Sigurd of course, mr. Køhn who we both had worked with in Lava and The Heavy Gentlemen. Tv-appearances took place, the first one in Germany, ”Wetten Das” . We fake-backed Crying In The Rain, and Toto was on the same show. Nice to shake hand with Jeff Porcaro while he was still with us. Home in Oslo we`d appear at LørDan and a charity concert in Oslo Konserthus. 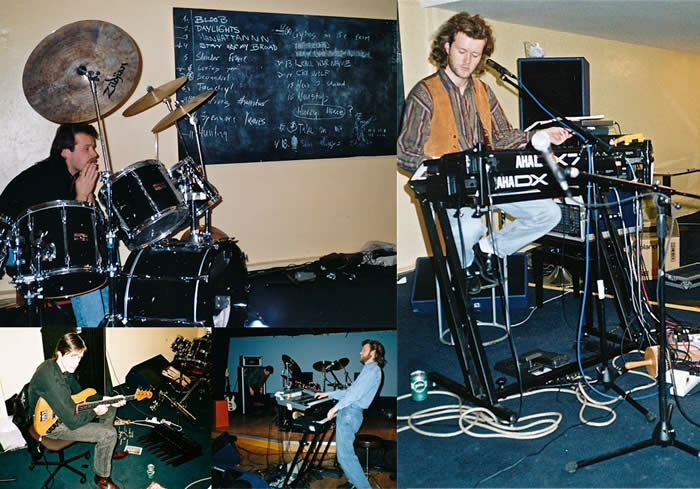 Rehearsal sessions took place in London as well as up at Lydsystemer in Sandaker Oslo. 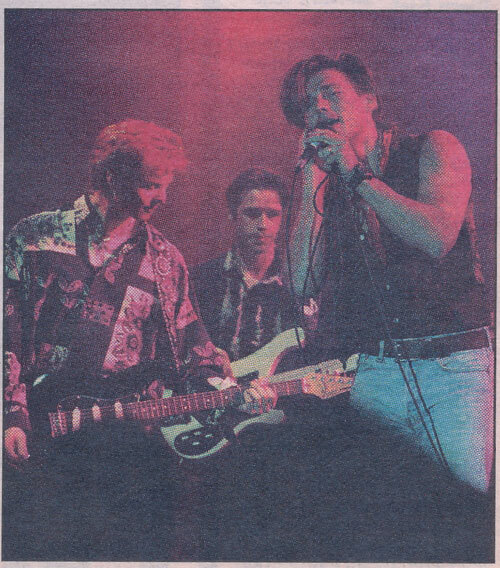 There came a journalist from Dagbladet, Fredrik Skavlan, and spread the news of a rougher a-ha that hid secretly in Oslo and preparing the live act. 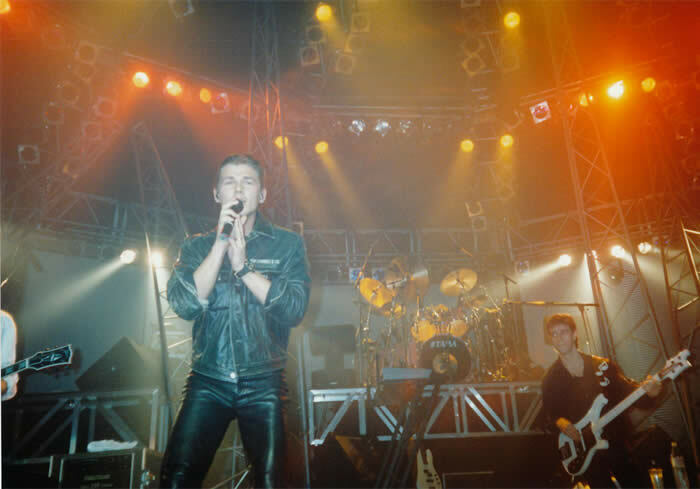 The first live-concert took place in Oslo Spectrum, on the 14th of January, 1991. The same day as the old King Olav of Norway died, and the first gulf-war broke loose. A day to remember. A great experience, with friends and relatives in the audience. We sounded pretty good and the press loved it too. 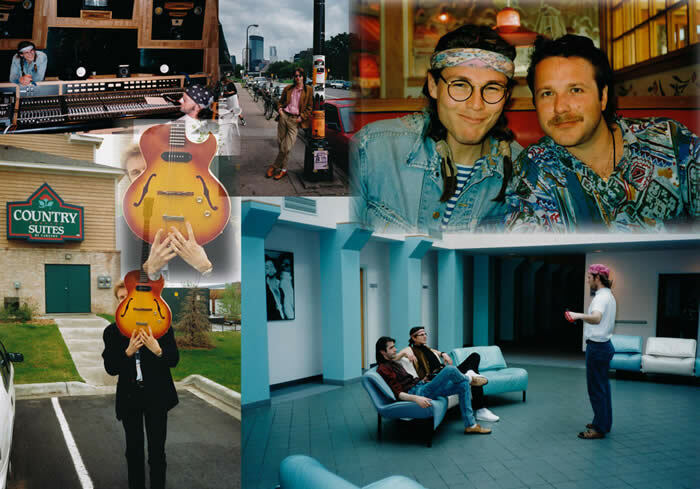 We played two nights at the Spectrum and then we went to Rio and spent a week by the pool at the Rio Palace. 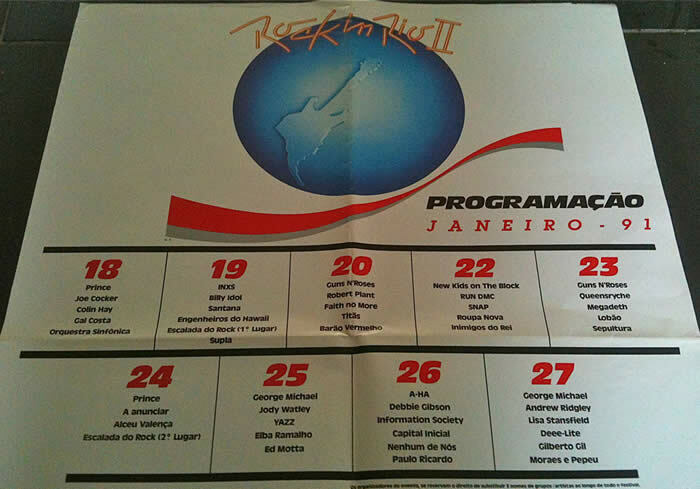 The a-ha night in Rock In Rio gathered 192 000 people (or was it 198 000 …). What a blast to go out and play for such a crowd, wow. 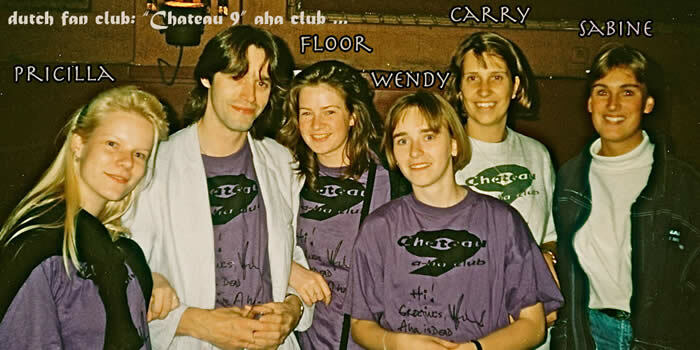 There was that enormous energi out there, pure loveliness, dancing bodies all the way, we could even see those moving creatures way in the back, the huge stadium was a big round boiling pot, in xtc over the music we played. In the middle of Take On Me we went into a samba-groove-breakout, a brave funny stunt from ironic northeners, (it`s on You Tube), it was never played that way ever again. During all this I had to deal with this major incident; Derek, our guitartechnician had changed the strings on my new Rickenbacker bassguitar right before the concert and I did not check it properly. The strings , especially the deep E was very sloppy, it cracked into the fretboard and made some strange noise, the string was hard to use at all, I had to hit it really gently, otherwise it would sound really bad and clunky, but I tried to deal with it and enjoy the event as much as I could. 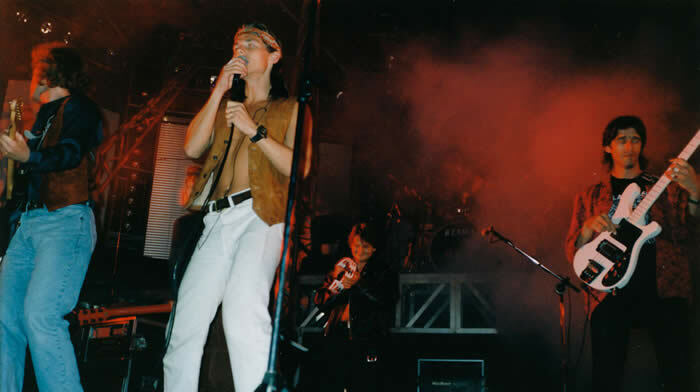 The show went on, the crowd was cooking, and I thought especially Morten was great on this night, he was acting like a star and was really embracing the audience with his unformal shorty pants and ponytail. We were creating history. 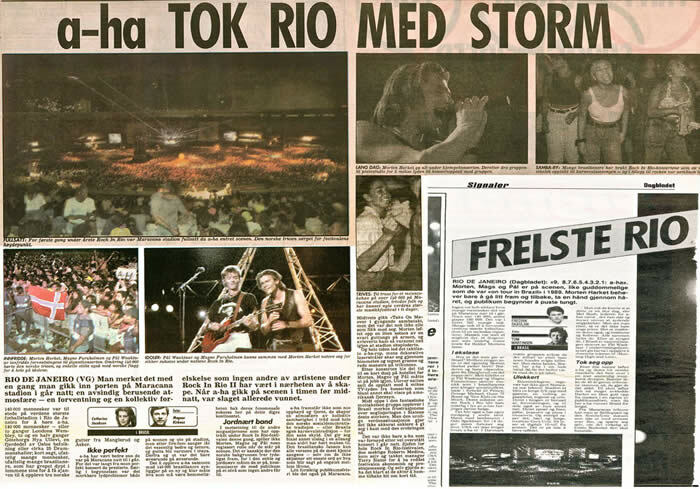 After the show in Rio we hang out with some of the Norwegian newspaper-guys (Tor Marcussen, Tom Martinsen the photographer, Catharina Jacobsen) , and everybody was really proud of the nights event. In the reviews in the papers afterwards, they only referred to the three main guys from Norway. Per, Zig & me was not mentioned at all. I found that kinda strange, even though Fredrik Skavlan wrote “aha and their three norwegian musicians”. 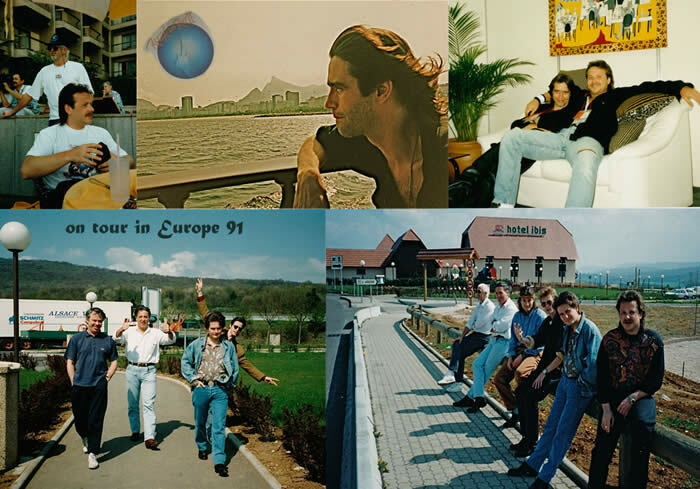 From January up to July 91 we toured a lot in England, France, Germany, Brasil, Chile and Argentina. 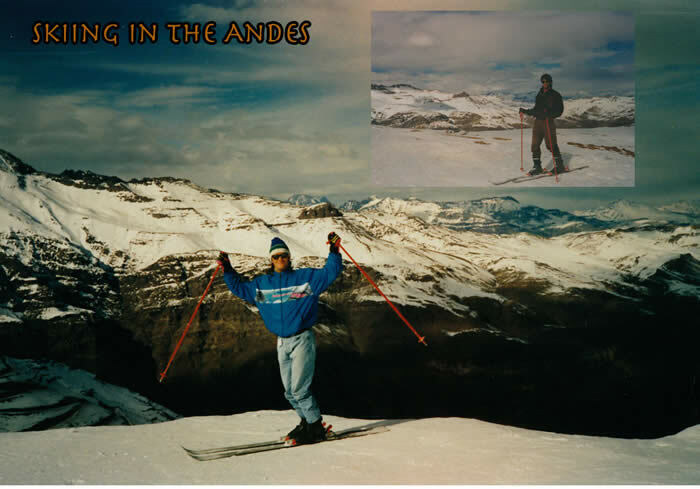 The South American tour is documented on a live-video shot and directed by Paal`s wife Lauren Savoy. 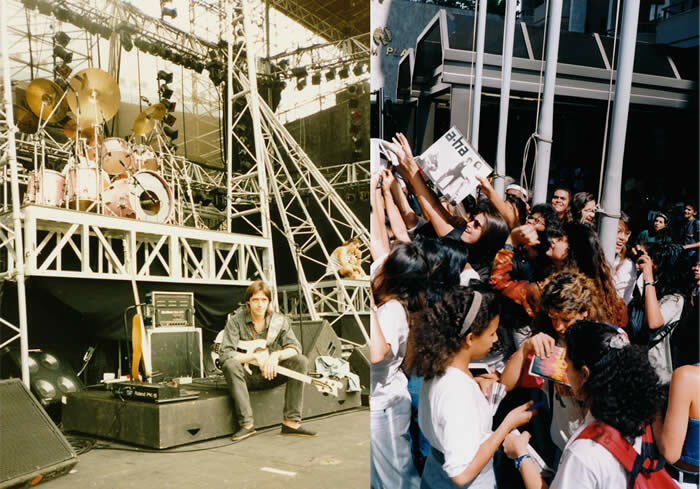 It seemed that this was a time in a-ha`s career where they was about to reach another kind of audience than the screaming teenagers. 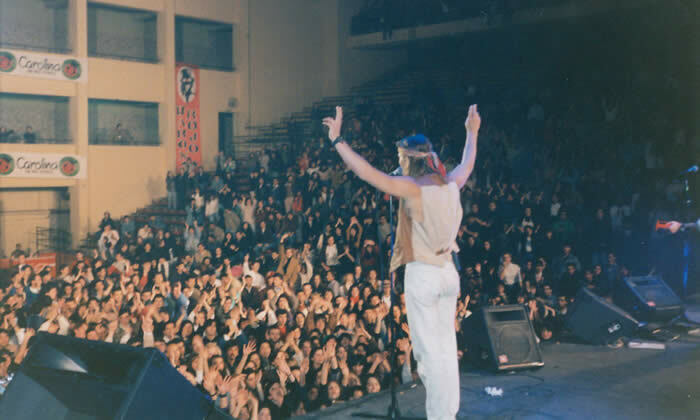 The music had a rougher edge, and especially in Buenos Aires Argentina there was a crowd of student-type audience that responded to the music in a very intellectual way, clapping after solos and stuff. In Santiago Chile there was a strange and funny incident: We should play Hunting High And Low on a tv show, probably playback. But anyway, after the song was done people just shouted from everywhere in the studio; “Do one more, one more !!! ”, and then out of the speakers they threw the cd-version of Touchy and we were still on the air and had nothing else to do than just laughing and fake along on the spot. Terry had a heavy arguing going with the producers afterwards, but the popstars did it with a smile, though a little bit shocked from the start. And as Mags said; “I was surprized how the song sounded, I didn`t remember it so humpty dumpty …”, the live-version we had now was more freak out groovy and Mags blew the mouthharmonicaharp in the middlejam. 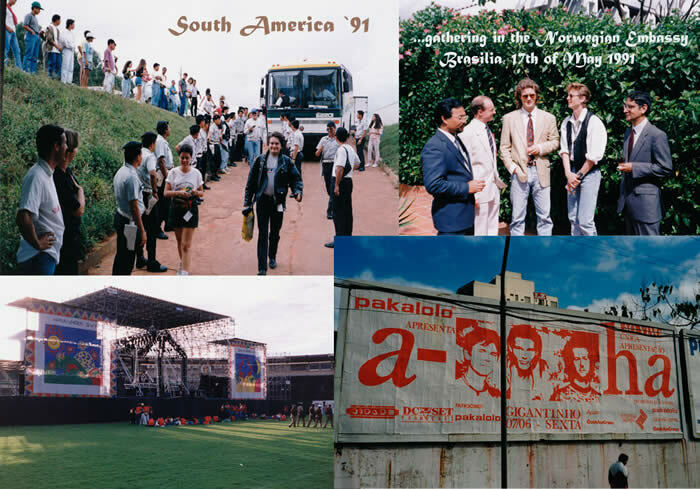 The Live in South America video that Lauren shot and directed consists of footage from all the concerts down there, but all the music is from ONE concert, recorded in Porto Allegre, and those who think that a-ha never could be a rockband, this is the period that exactly that happened. Band sounded great. Great stadiums and big clubs from Fortaleza up north, Recife, San Salvador, Brasilia, Sao Paulo ….. pools and sun and brown earth and nice music. 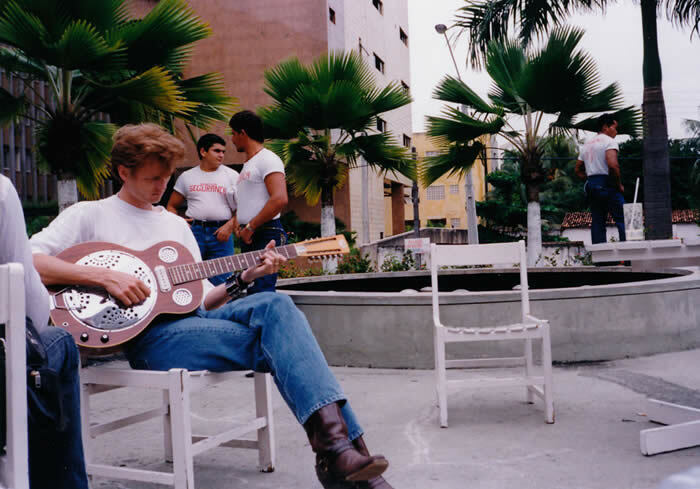 One relaxed day by the pool somewhere Paal played for me the song Locust, just after he`d written it I guess, wow that`s a great song, just like that, done that way, one voice and one guitar. It never ended close to that way on record. In London in between the touring dates I`d walk into Tower records, and there was up on the tv screen the video of I Call Your Name, with me and Per playing, on the soundtrack. In fact this was the song that we had made our most personal influence on, I thought. 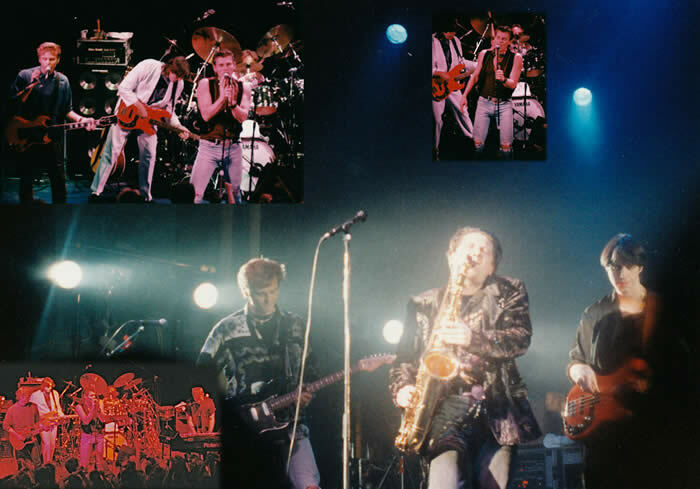 And there it was on the tv screen in London, and they had to replace Per and me in the video, because of the musicians union. A sad and beautiful day. 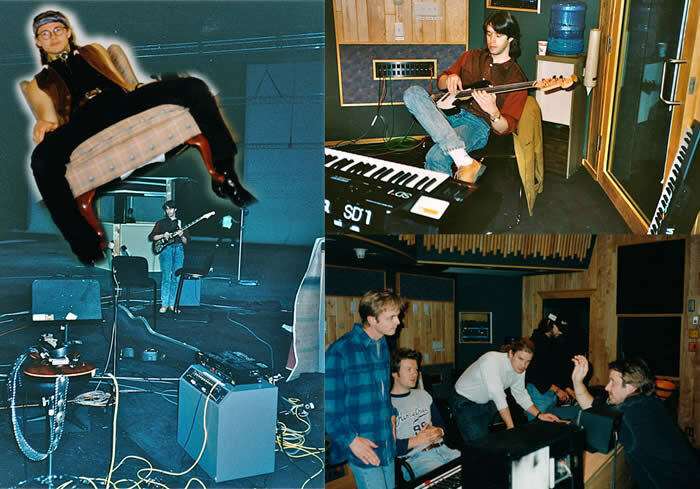 Late summer 1991 we spent some time in Cross studios in Kristiansand rehearsing and demoing new songs, endlessly grooving on Cold As Stone, Dark Is The Night For All and great feeling on Memorial Beach. What a great bassline Mags came up with .... cause I think it was him, though Paal is credited as the composer. In october we did a great live in the studio performance for NRK with most of the west of the moon concert repertoire, supported by a couple of violins and viola strings in The East Of The Sun. 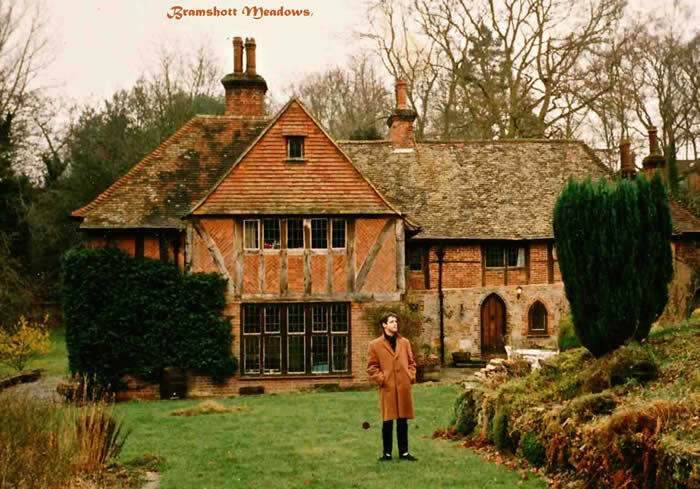 One evening back home in London Mags rolled out a huge oilpainting that he`d made, hypnotizing orange-coloured edges and a heavy green thing in the centre that was supposively a plant but I saw in there a harsh face. I kept thinking of it as Mags` “Vampire”. I bought the painting and it appears momentarily and majestetic upon my wall. "Jumbojet`n krenger over og gjør seg klar til landing på USA`s sentrale flytrafikk-knutepunkt Minneapolis. Fem nordmenn stiger ut og tar seg bortover den multifilede highwayen, vestover, klare til å innta et av verdens mest interessante recording studios for å lage norsk popmusikks desidert største suksess` 5. studioalbum, midt inne i flateste Minnesota. 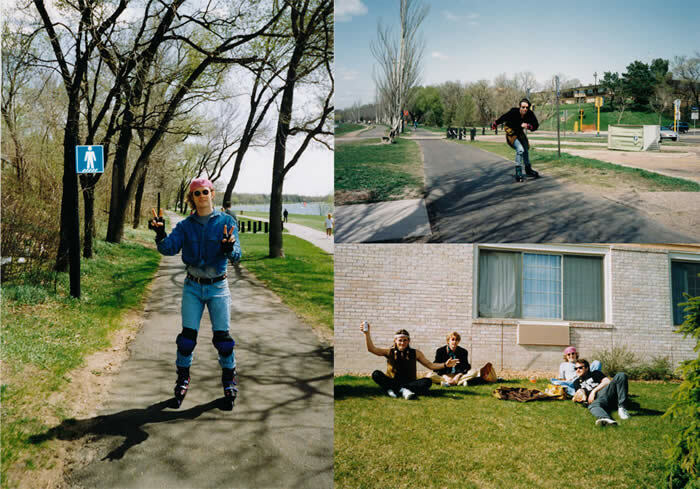 ….. "
These are the opening words of my article in the magazine ”Musikk-Praksis” (6/92), about the recording of Memorial Beach in Prince`s studio Paisley Park. 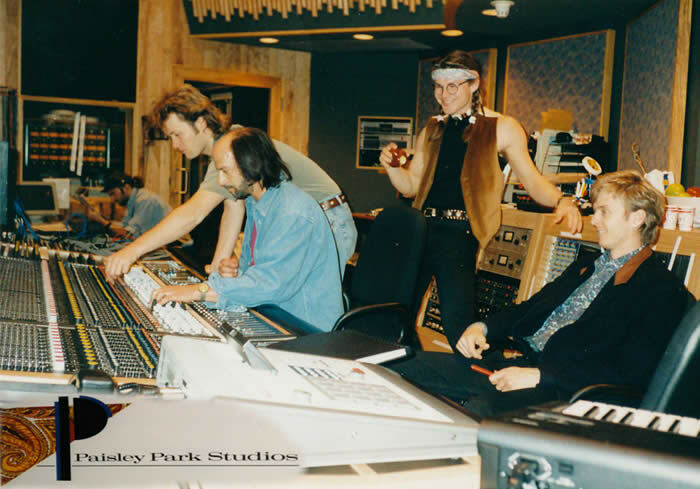 Producer was David Z, who was known for producing Fine Young Cannibals and had a finger in the groove on Prince`s hit Kiss. 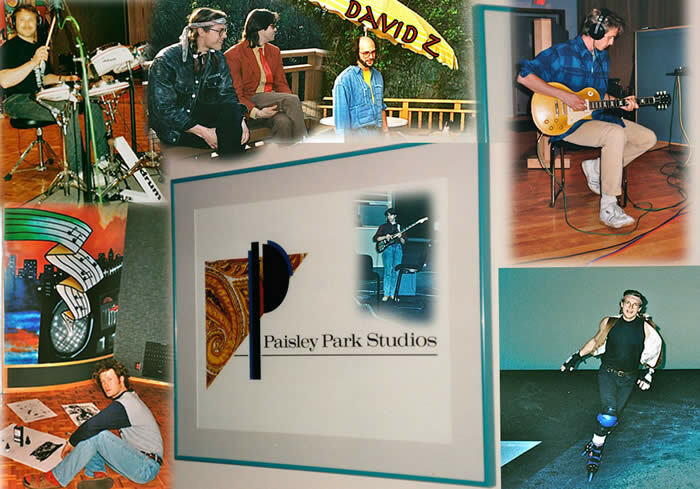 These studio periods in Paisley Park in Chanhassen, a suburb of Minneapolis were great experiences. 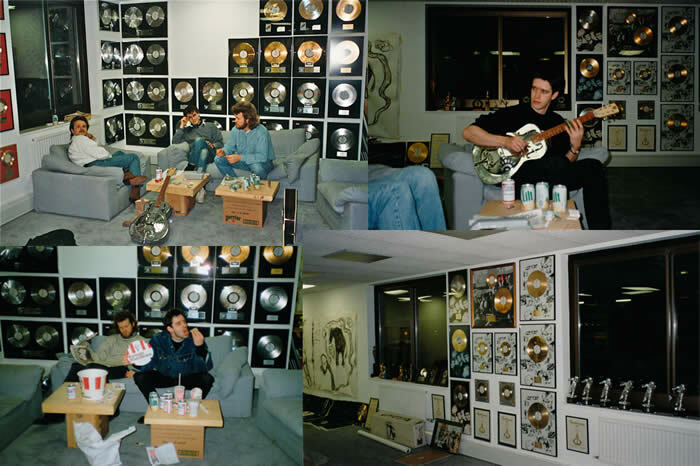 We didn`t actually meet Prince there, but suddenly he was working two days in one of the studios, and we`d sneak in and have a look while it was empty …. Hippiescarfs hanging from the ceiling, nice smell of incence, athmosphere man, important thing. I stole one of his plectrums. It says ”Love God” on it. 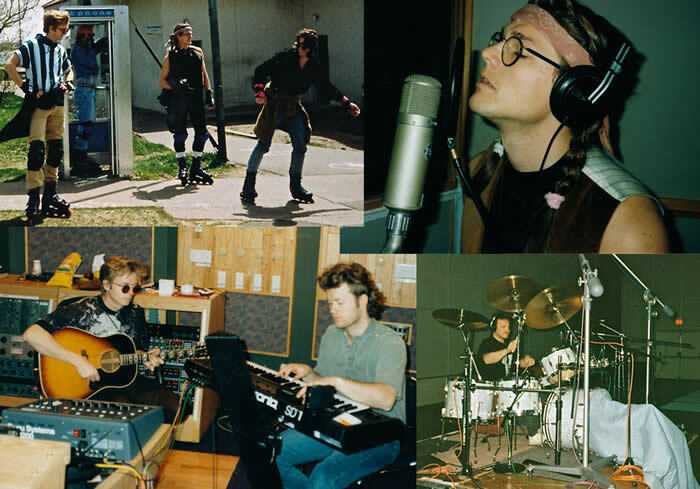 A good deal of live-recordings happened in the studio, uncountable amount of takes of Cold As Stone (”-tape is cheap”), Dark Is The Night For All ….. But most of the songs came together in bits and pieces. 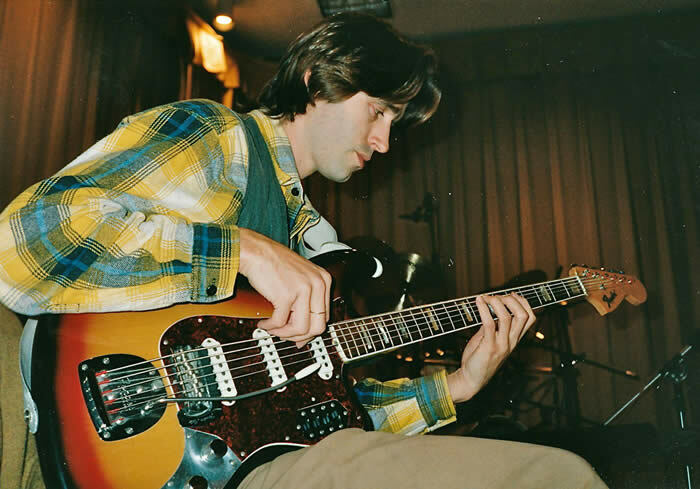 Even demos from an early session was thrown on tape and built further from there (Locust). David Z was working his Oberheim Drum machine and made loops that was effectively put back on tape syncronized with a soundsource trigging the sample. An early ”copy & paste” method before computer took over the whole thing. ”Yeah, we can grab some of that …”. And we were really excited that we were able to get the rough mixes in the bag home burned on a CD !!! Fantastic. 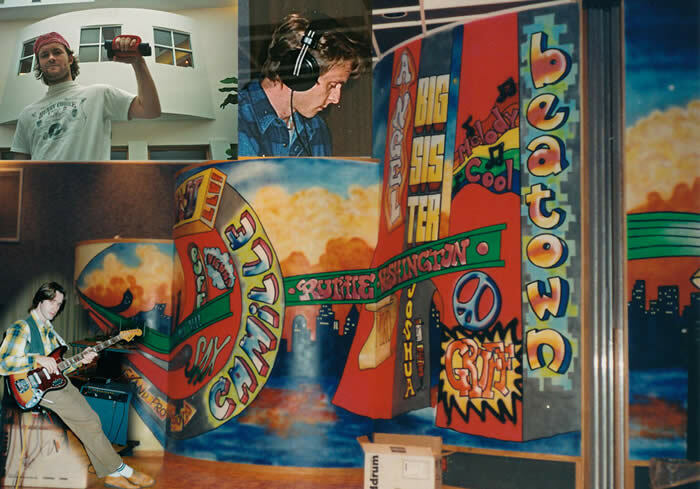 Paal mixed the album in New York during winter time 92/93. 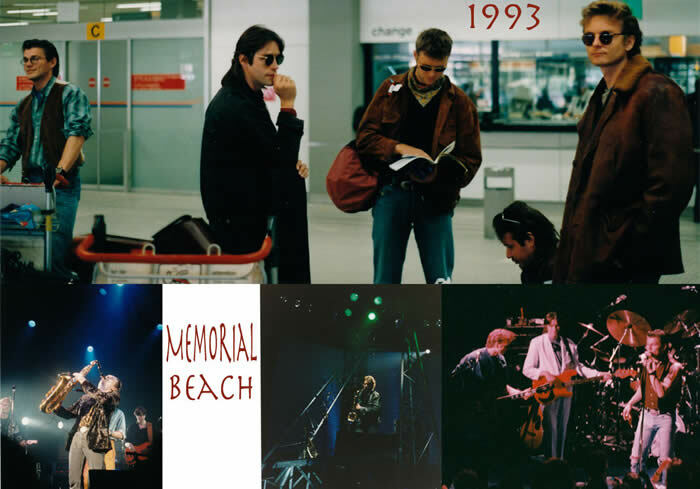 After the release of Memorial Beach in March of 1993 we did a few "low-key" tours; clubs in Germany, Amsterdam, England, Spain, Denmark and concerts in Norway, at the Månefisken in Oslo with great reviews, aha goes basement. 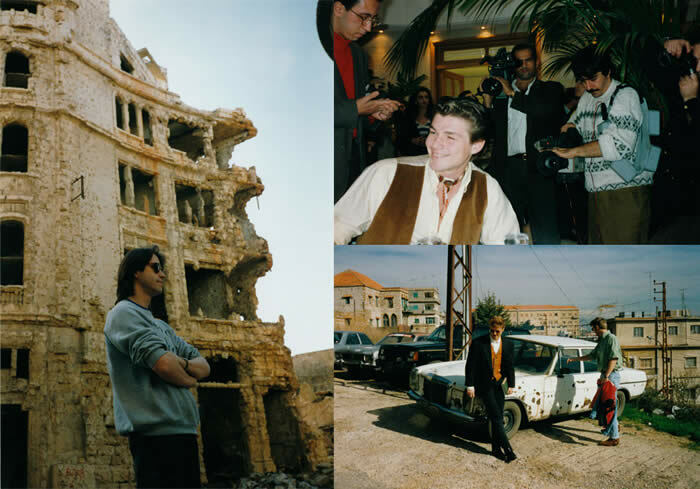 Late 93 we went to the city of Beiruth Lebanon and did two nights in a cement bunker. What a bombed out town. People living in the ruins was hard to look at from the outside, for real. Beiruth also showed us this high class arabic discofunky athmospheres, not to forget the great Libenesian food. 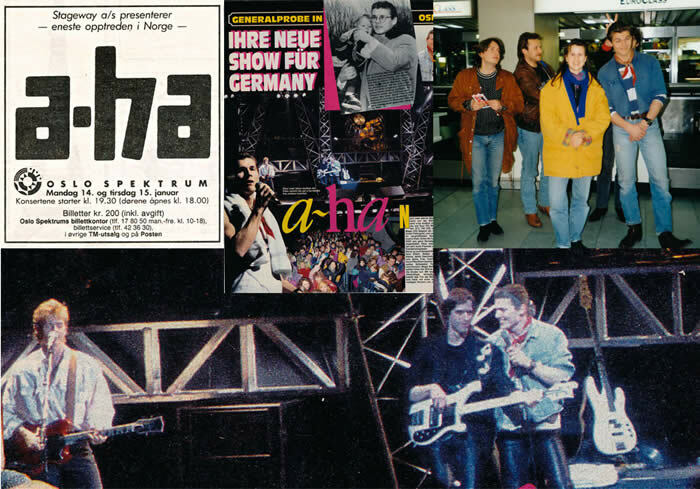 1994 started with a-ha being a hired partyband at the Oslo Plaza , for Rimi. And then the Lillehammer Olympics came upon everybody. Aha performed a concert there, almost at the same time as my second son Gustav was born. And that was why I did not want to go on tour with a-ha to South Africa in February. 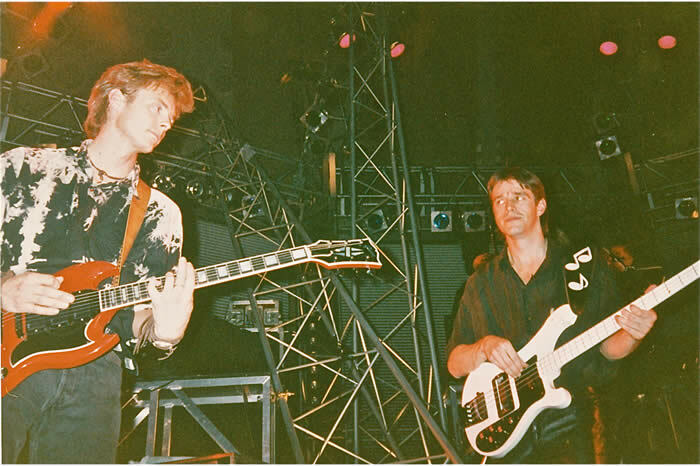 I choose Øyind Madsen to replace me on that tour and it seemed that Morten & him found a cool groove. They worked together in the long to come a-ha break. Cool. 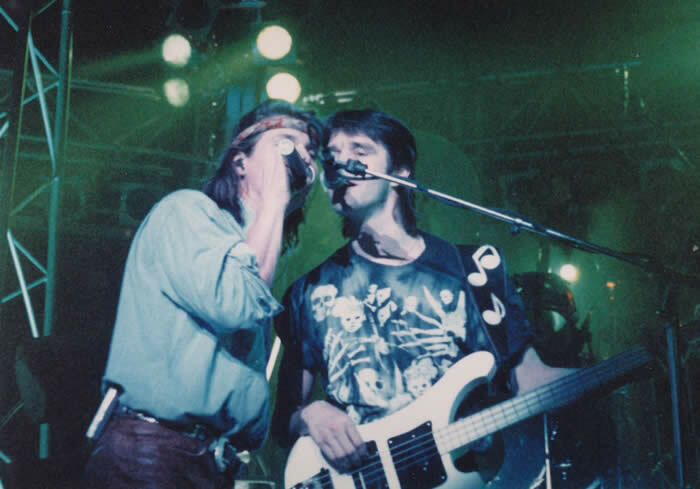 But I did get the bassjob back for a couple of more gigs. 6 concerts in Norwegian cities , like Grieghallen Bergen, Ibsenhuset Skien , Stavanger, Trondheim, Rockefeller Oslo…. And at this time I strangely found myself in sometimes thinking ….. ouff, are we going through that same f … setlist again … it seemed so long…. Maybe it had something to do with the fact that we` d been playing smaller and smaller venues through the last two years, and ended up in the tiny heart of the homeland …… In these few moments I felt that it sometimes bored me a bit musically, probably for the reason of lack of freedom, kinda like the good spirit was gone away from everybody, I guess similar things may have popped into the others` minds as well, it was coming closer, a-ha needed a split . I think everybody felt that, without talking too much about it. A happy moment the same spring was performing at Andøya up north of Norway, “rock against” something , drugs probably. We were flown up in a hired small private plane. We played well and the band sounded really good. 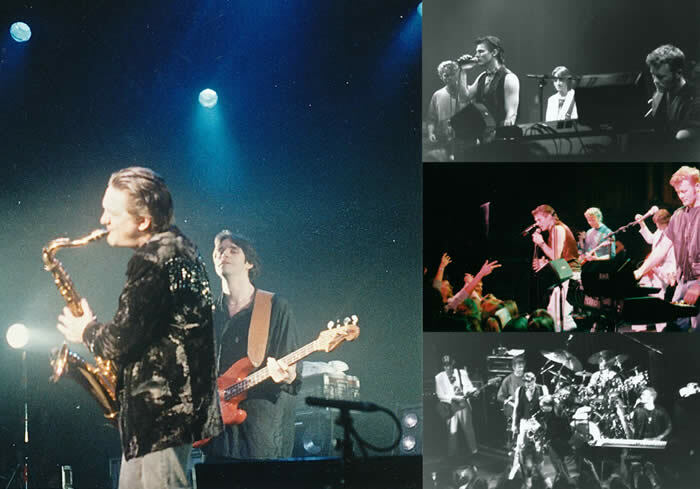 I`ve met quite a few people in the years after this that had witnessed this concert, and it was obviously a blast and a tasteful rocky combo with great and wellknown songs squeezing almost the last breath out of it. 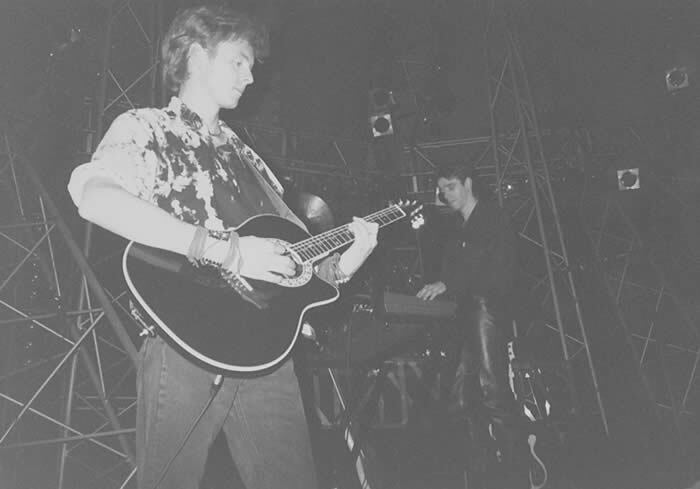 The last a-ha concert took place in St. Petersburg in Russia in the summer of 1994 , at The White Nights Festival. 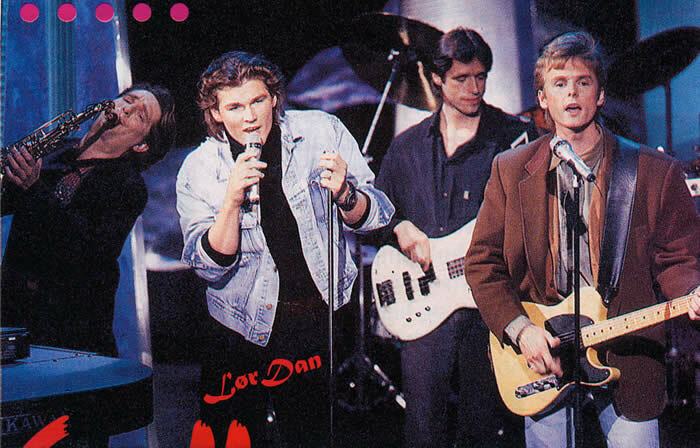 A-ha had come to a level where it was important for them to get into other things, and split up the band. 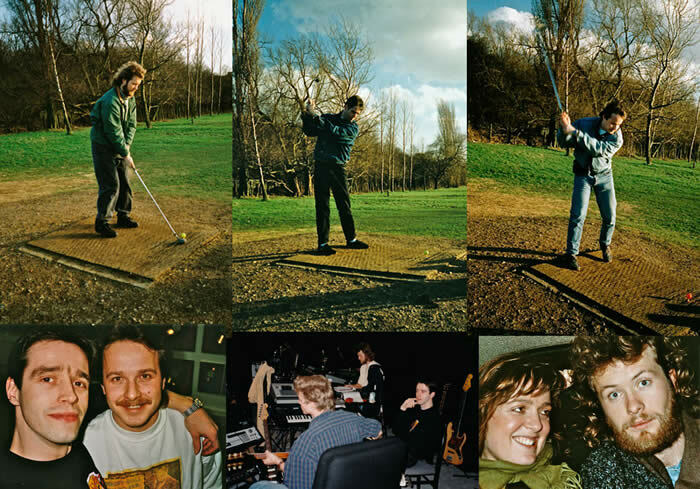 Mags wanted to be an artist in many ways, Morten came with the great Wild Seed in 95 and Paal brought us the first Savoy album Mary Is Coming in 96. But that`s another story. My time with them was incredibly exciting, a real exclusive flip of a coin luck. Thank you so much for letting me in guys. It will follow me for the rest of my life in some way. Musically I was a hired soldier and I executed my function the best I could and the way they wanted me to sound. Paal had some big ears, not a note passed on the bandstand without him noticing them, especially not the wrong ones. 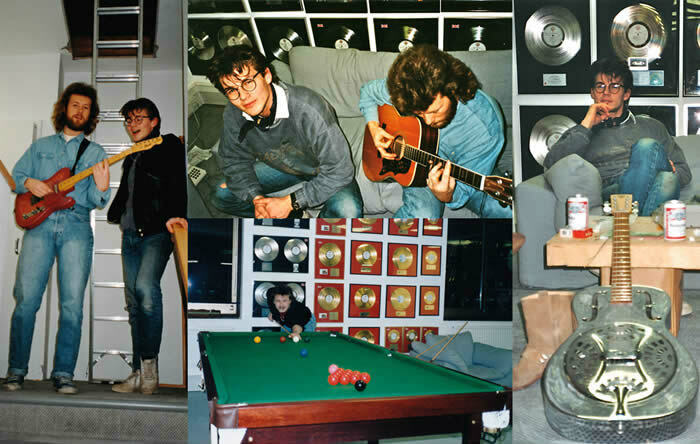 A-ha had given me an amazing awesome experience as a part of it and as a fly upon the wall in great sessions out in the big bad world. Thanks to all the followers and fans. Most of the live shots (and airport shots) have I been given from these .... they are : Wendy probably, Larissa most truly, and Judith of course ... and a lot of others. Copying without premission is against the law !